The Outdoor CPA The accountant that isn't afraid to venture outside of his cubicle. Not much to talk about on this hunt. There was a very heavy fog on the fields that had not lifted by the time that I left the woods. I hunted a spot that I’ve been scouting hard for the last 11 months, but did not know how it would work in the early season. I got to see a lot of squirrels running around, but that was it. 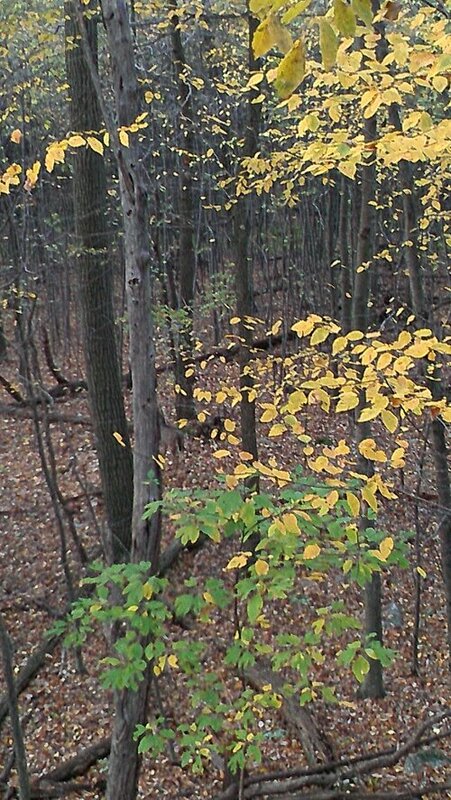 I will hold off hunting this spot again until the deer start moving a little more. Based on the sign that I found last November around this spot, I am very encouraged that this should be a good spot during the rut. This day can probably be summed up as the most frustrating day of archery hunting that I have ever experienced. Hence why it has taken me nearly a week to write about this hunt. I could probably type out my frustrations of the day, but I will stick to just the bow hunting portion of the day. I set up in my climber in a tree the I set up back in July. It is the same oak flat that I hunted opening morning, but about 30 yards up the hill from the tree that I hunted that day. The plan for the evening was to tale a doe if one were to present me with a shot. Around 5:30 I heard walking coming from the opposite direction of where I expected the deer to be coming. I turned around and spotted a deer moving up the hill. I quickly glassed it with my binoculars and noticed it was a 4 point. He milled around in the acorns for the remainder of the evening. A little after 6pm as the light was beginning to fade I heard walking coming from the direction of where I expected to see deer. Sure enough I spot deer legs moving through the brush. As the deer’s body became more exposed, I realized that it had a pretty large body. I grabbed my binoculars and quickly realized that it was a shooter buck. He was an 8 point with a decent spread and would probably score in the 90s. I put the binoculars down and grabbed my bow. He was about 40 yards away and needed to cross the ATV trail in order to come into range. He closed the gap and crossed the trail, but crossed about 5 yards further down than where most deer will cross. This led to him being at 15 yards, but too brushy for a shot. I began looking for potential openings on his path and spotted one on the other side of my tree. As he walked, I carefully spun around and got ready. When he stepped behind a large oak, I drew my bow. He stepped out from the tree and into the opening. I settled my pin on his vitals and released. The buck jumped and took off running down the hill. I felt confident about the shot, but figured I would at least climb down and find my arrow. When I got over to where the buck was standing, all I could find was his tracks. No blood. No arrow. No hair. I couldn’t believe it. I spent the rest of the evening and 4 hours on Saturday just looking for something. I was able to locate his running tracks and followed them for about 100 yards, but never found a single drop of blood. I’m assuming that my arrow deflected on a small branch that I did not see through my peep sight. I searched a very large radius looking for the arrow, but I was never able to locate it. As the temperatures begin to drop, my focus is beginning to come back and I’m finally feeling the desire to be in a tree stand again. Hopefully, I can put this day behind me and focus on the better days ahead. This entry was posted on October 24, 2013 by fishin819. It was filed under Bow hunting journal and was tagged with bow hunting, bow hunting journal, bow season, october lull, pa archery season.